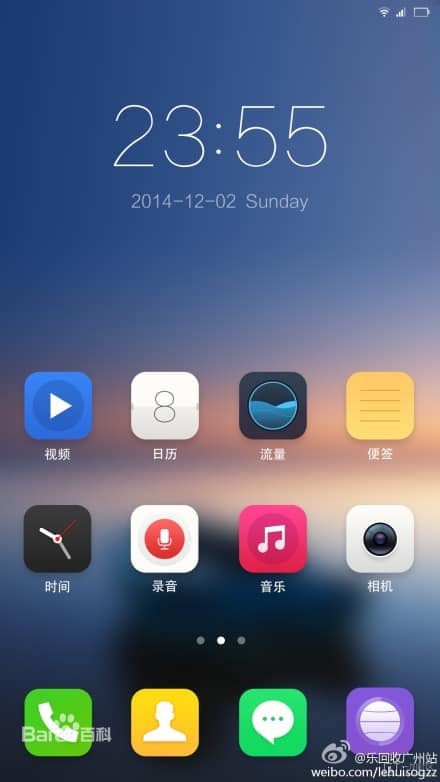 We could be getting a first look at what to expect from Oneplus and their very first ever device the Oneplus One, with this alleged leaked screenshot of the phones homescreen, which showed up on Weibo a few days ago. The screenshot shows off a little bit of what the UI should look like along with that to expect from the icons and the stock time and date widget that you can see hanging out at the top of the screen. The icons draw the attention more than anything else of course, with their surprisingly non-android like design. Just taking a quick glance at the homescreen here i’m reminded of Xiaomi’s popular Miui ROM, which actually takes heavy accents and styling from iOS. These icons here look more flat than stock android icons and are definitely different than anything we have come to expect from Cyanogenmod in the past, but the flat style shouldn’t surprise anyone as that is the current popular trend we’ve been seeing when it comes to icon design. 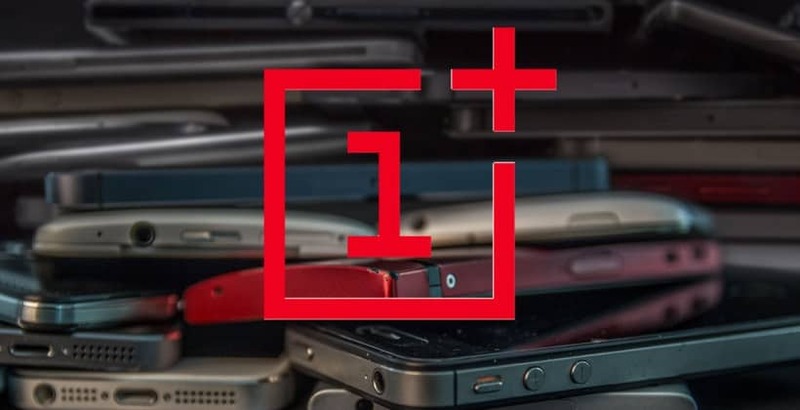 The UI itself is actually a modified version of the normal Cyanogenmod that most other phone can acquire through download and self install, as this version that is shipping with the Oneplus One is called Cyanogenmod 11S. The device as you can probably gather will be running on the Kit Kat based version of CM, but it will have quite a different style to it with elements meant just for the Oneplus One, at least at this point in time. From the looks of things, the UI will still of course be sporting the white color themed icons up top, but there is a clear lack of presence of the status bar which is good to see, We’re not sure if this means that the status bar will be transparent like with other kit kat devices, or if it is just non existent altogether. There also doesn’t seem to be any navigation panel down at the bottom, or any navigation buttons at all for that matter. It’s possible that this part of the screenshot was cut off, or perhaps the team at Cyanogen Inc. is going to be implementing other means of accessing your app drawer and other tasks that would be handled by the navigation keys. Perhaps gestures like in Nova Prime? We’re only speculating here, but we won’t have to wait long as we’re due to find out more details on the 25th of this month when Oneplus has said they will announce the phone. The post Alleged Screenshot Of The OnePlus One Homescreen Pops Up appeared first on AndroidHeadlines.com |.